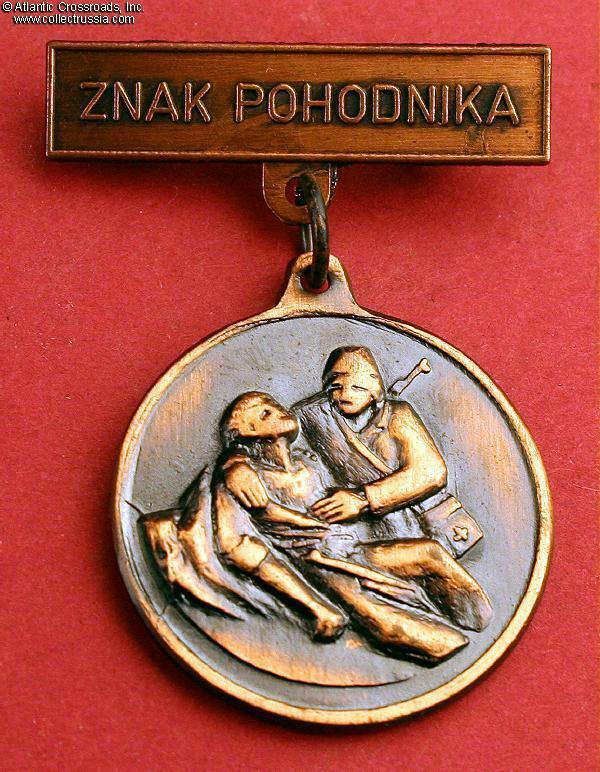 Czechoslovak Ninth Corps Sign of Honor Badge, awarded to those who tended wounded fighters during the 1944 revolts against the Germans. Bronze plated base metal, 30.1 mm diameter. 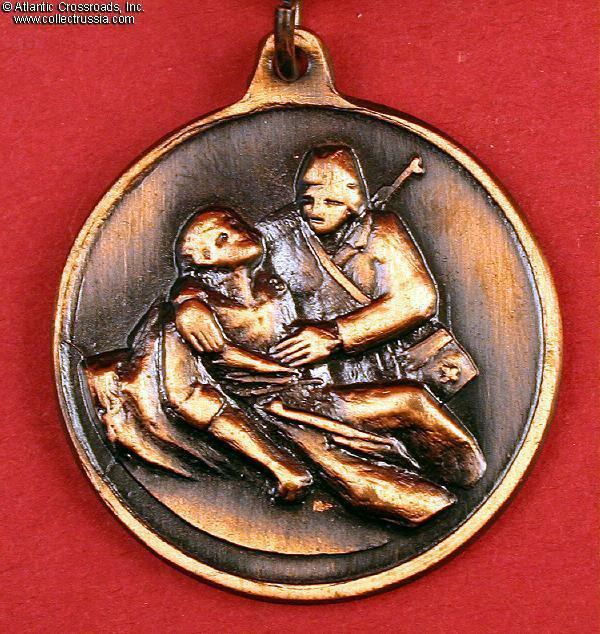 Features soldier with Red Cross bag tending to wounded fighter. Pin back attachment. 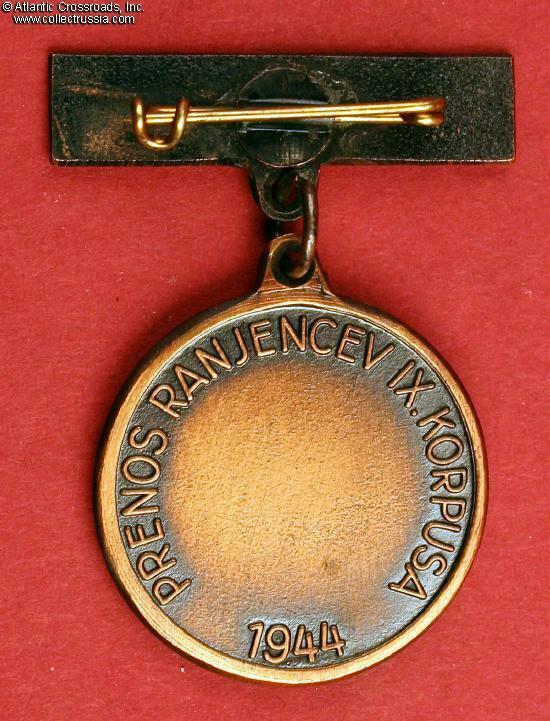 Ninth Corps inscription and 1944 on reverse.